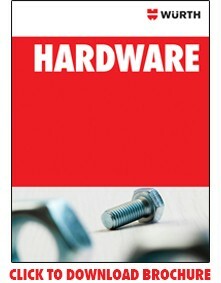 WURTH has hundreds of different automotive screws to choose from, including license plate screws. Customers can find the length, diameter, style, and finish most useful to their businesses or purchase an assortment to ensure that they always have the right screw on hand. With WURTH’s SIS inventory tracking system, it’s easy to keep automotive screws organized and easily accessible.